The Newark Bicycle Committee has been in the hot seat lately, under pressure from Bike Delaware to push a bi-directional cycle track along Delaware Ave in Newark. Though included in the City's Bicycle Plan, there are several challenges to overcome. Among them, sufficient space within the existing right-of-way (ROW), which could hamper the level and quality of separation between the traffic lanes and the cycle track itself. As things stand now, it is going to be a very tight and costly fit, but replacing the current 1-way bike lane with a protected 2-way facility is big in Newark's mission to increase bicycle safety and modeshare. 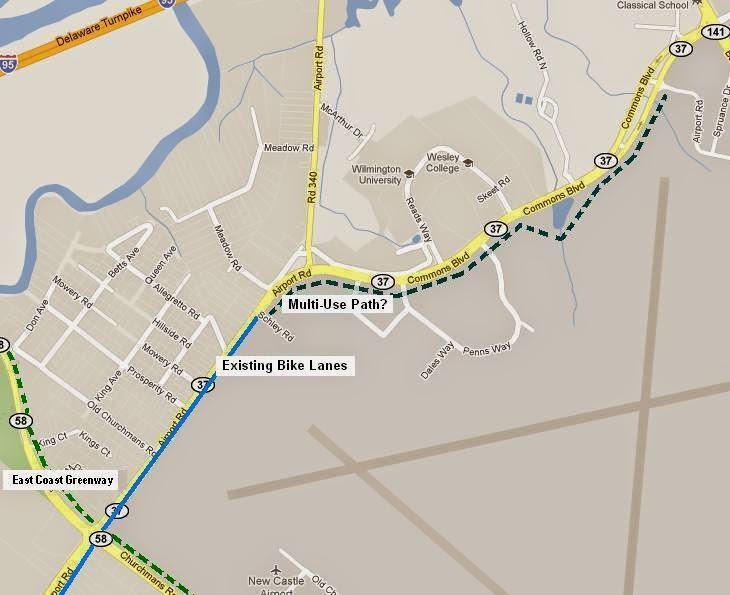 There is tons of hype surrounding Trails and Pathways funding, with Bike Delaware at the forefront. 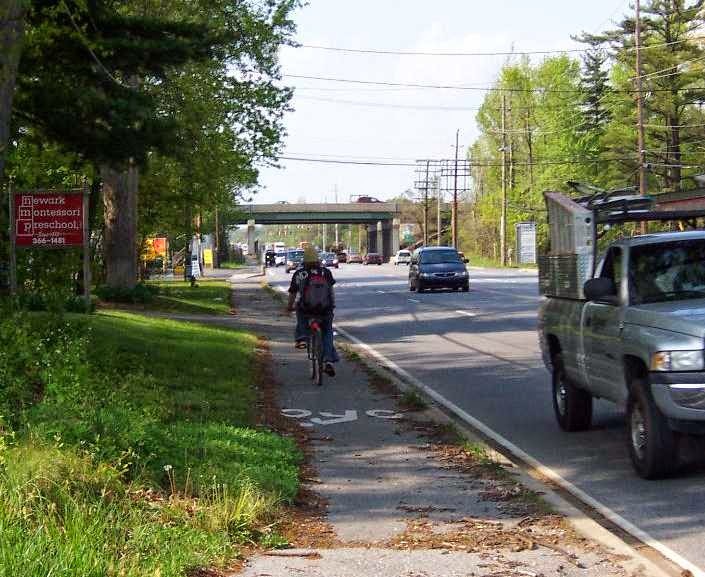 Yet, they are silent on other desperately needed projects, such as the dangerous Route 72 multi-use path (MUP). Replacing this badly deteriorated and damaged facility (overgrown to the width of a sidewalk) would increase safety and put more folks on bikes, especially Newark commuters who live south of I95. A cycle track here may also be lower hanging fruit, as there is more than enough ROW to construct the minimum 10' wide path/track. road designed only for high speed traffic. Other possible candidates include Commons Blvd in New Castle. This is another 4-lane, curb to curb arterial road that is anything but safe and hospitable to non-motorized users. A cycle track (or at the very least, a parallel MUP) here would allow many folks, including employees of the New Castle County Government Center, the option to bike or walk to work. What is Bike Delaware trying to achieve in terms of Bikeway networks that everyone can use to get where they want to go on a bike? Most of their focus appears to be on recreational bike paths and rail trails with little to no emphasis on road connectivity. Bicycle-friendly roads complete the network, and are the only thing that will truly make off-road pathways a viable commuting option. 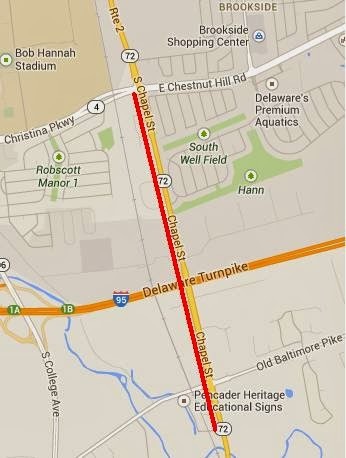 Bike Delaware has been absent on projects like the above, even though it appears to fit their mission. 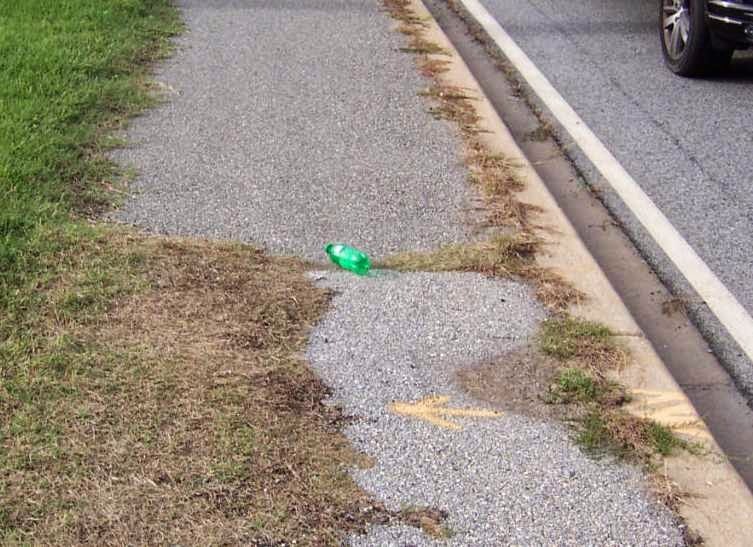 These are badly needed to make key connections between bike-friendly roads, destinations, or other existing facilities. Such projects would open up major swaths of NCC to bicycle commuting, by circumventing dangerous high speed roads that have no shoulders and probably never will. Hazardous conditions along the Route 72 MUP put users at close proximity to high speed traffic. 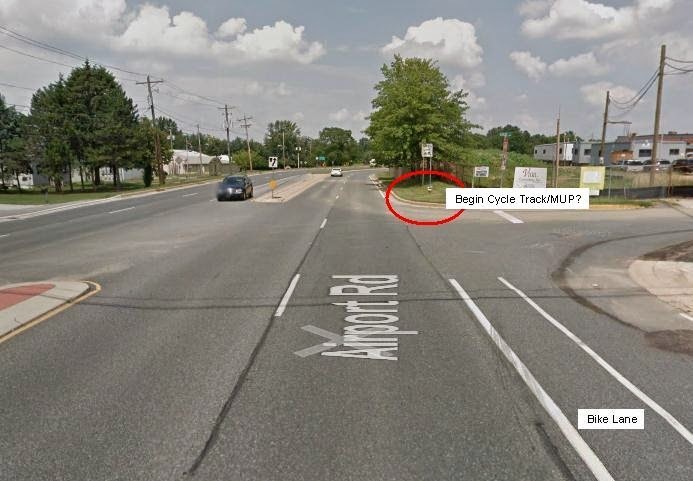 As with most Delaware MUPs, Route 72 is never resurfaced, and receives little basic maintenance. The failure to maintain what already exists - never mind new installations - should be of major concern to Trails and Pathways advocates. Airport Road, where it changes names to Commons Blvd. The bike lane terminates into high speed traffic with no shoulder, rendering it useless to all but the most fearless. 'Parkettes' on Main Street in Newark? Newark Bike Lanes and Sharrows Phase 2 complete!